Since ancient times, bees have been central to many cultures. These distinctly coloured insects are essential for maintaining a balanced ecosystem, and they play a large role in the success of crop growth. 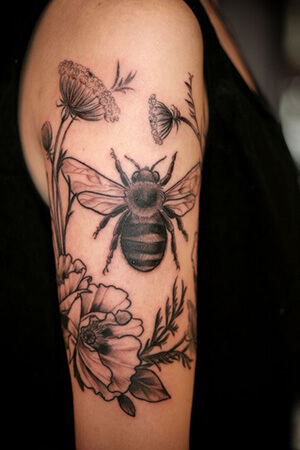 As one of the most industrious and loyal species, the bee has become a well-loved tattoo design. 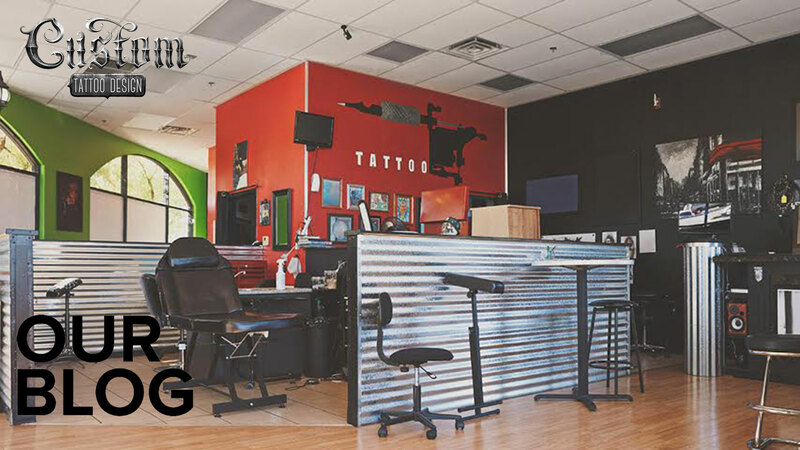 Below, we’ve put together a bee tattoo dictionary, spelling out the meanings behind these bee designs. Read on, and learn about your favourite honey bees! Beehive: this self-made habitat represents community and connectedness. Bumble Bee and Flower: paired with a flower, the bumble bee is a symbol for renewal, growth, and the season of Spring. Honey Bee: due to the crucial role honey bees play in the environment and agriculture, they have come to represent environmental preservation. They also symbolize hard work and cooperation. 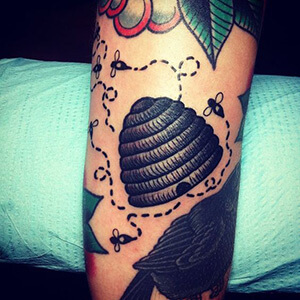 Since the honey bee will protect its home at the risk of its own life, it represents loyalty and courage. Honeycomb: made with a perfect hexagonal walls, the honeycomb tattoo design is a symbol of structured cooperation. 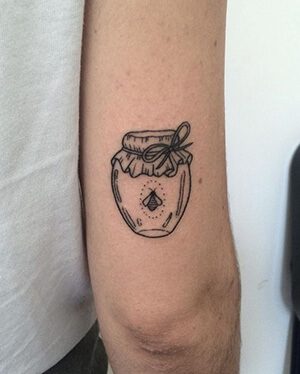 Honey Pot: considered the food of the gods in many cultures, the honey pot represents abundance and prosperity. Hornet: in the Bible, it was said that hordes of hornets extinguished sources of evil. Hence, the hornet has come to symbolize a warrior spirit. 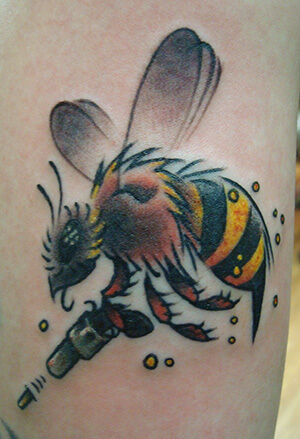 Killer Bee: as a tattoo design, the killer bee represents endless persistence. 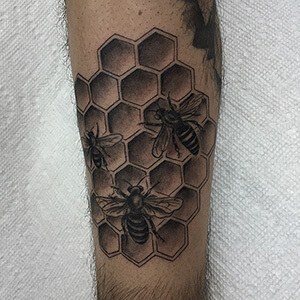 Manchester Bee: A long time symbol for the city of Manchester in the United Kingdom, the Manchester bee tattoo has become a symbol of those lost in the recent tragedy. Queen Bee: as the leader of the bee colony, the queen bee is a powerful symbol of strong feminine leadership. Small, but not insignificant, the bumble bee has a special place in many people’s lives. 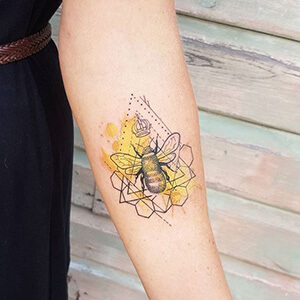 Whether you have a personal connection to these black and yellow insects, or you appreciate their contributions to our environment, a bee tattoo can always make a great tattoo. 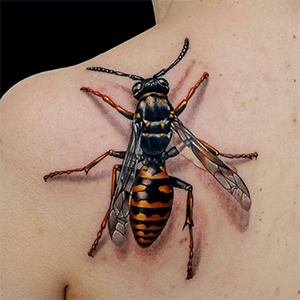 If you know of other interesting bee tattoo designs, let us know about them in the comment section below!